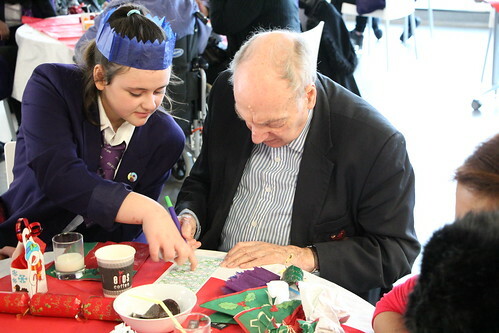 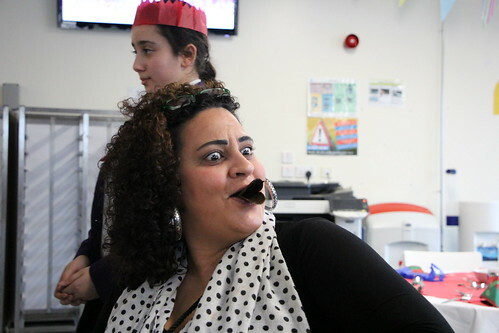 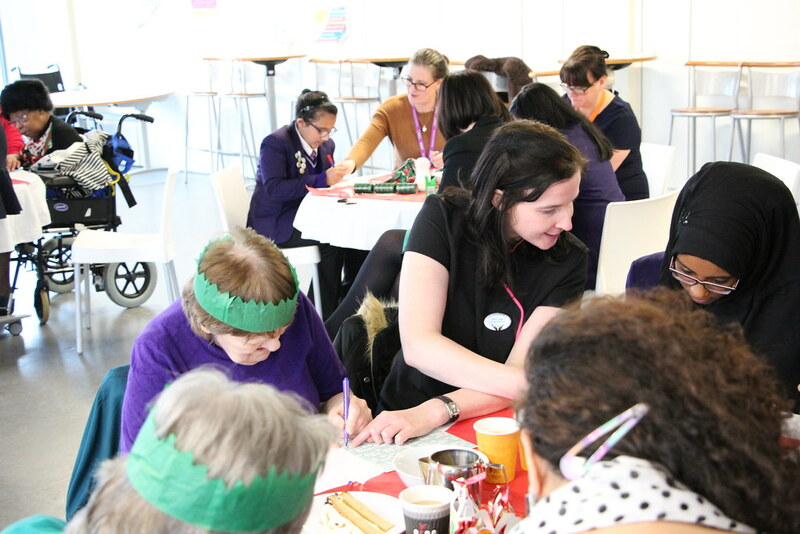 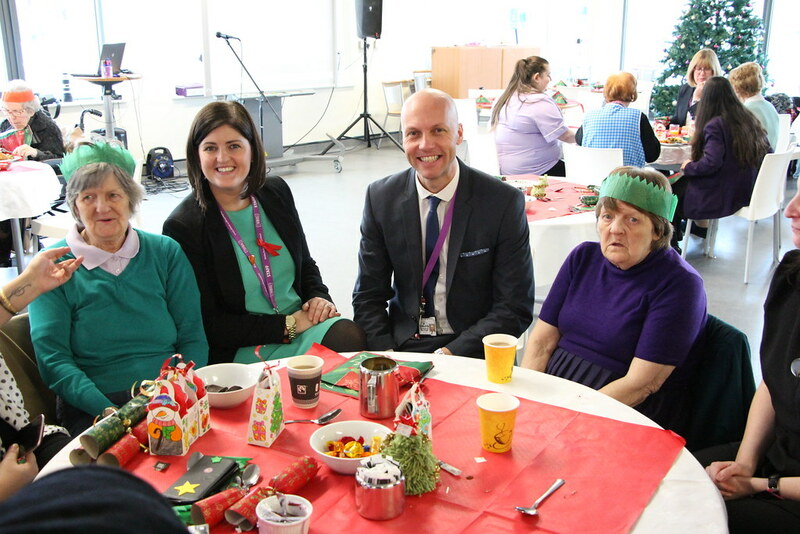 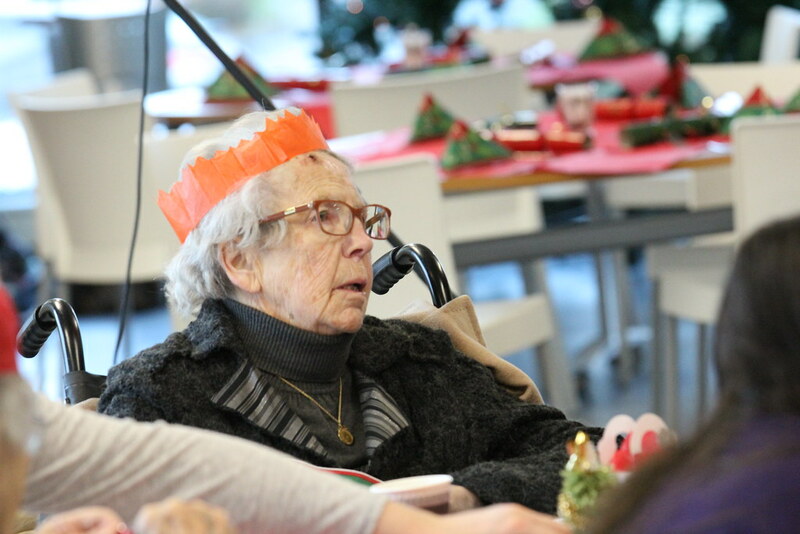 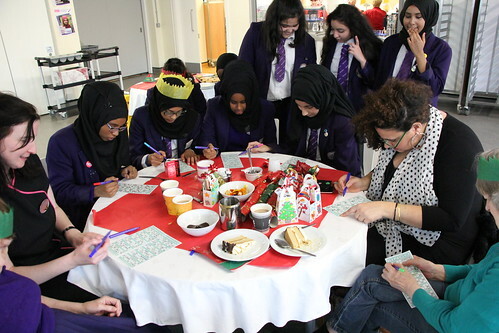 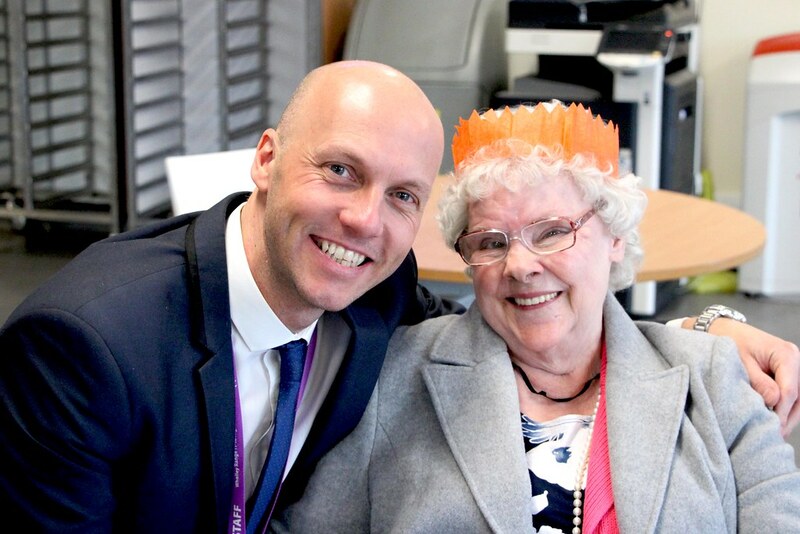 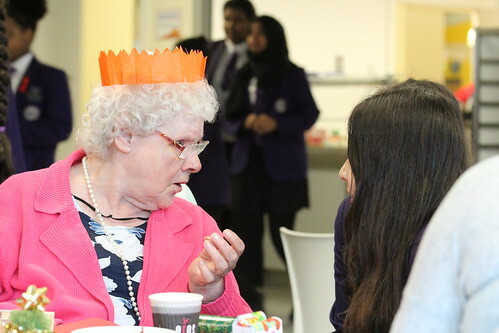 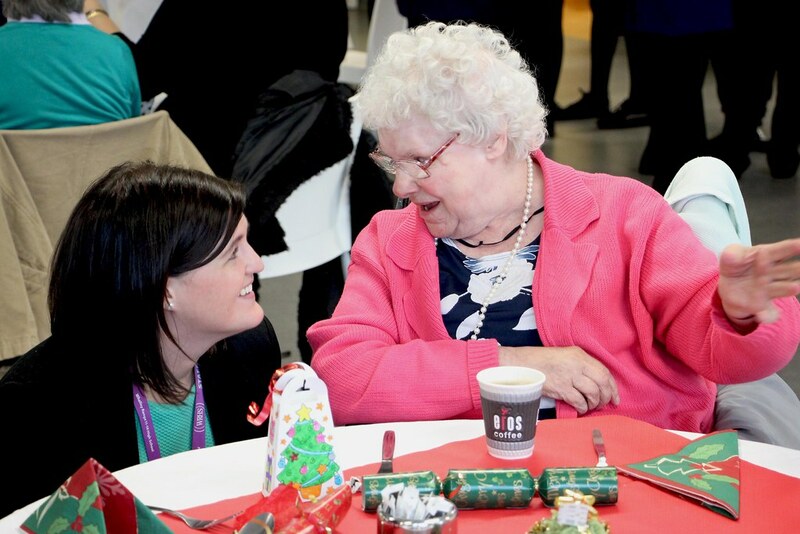 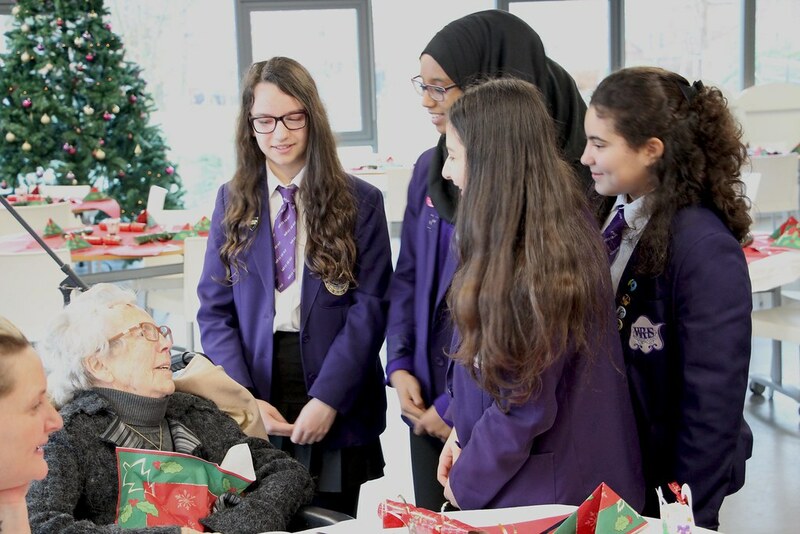 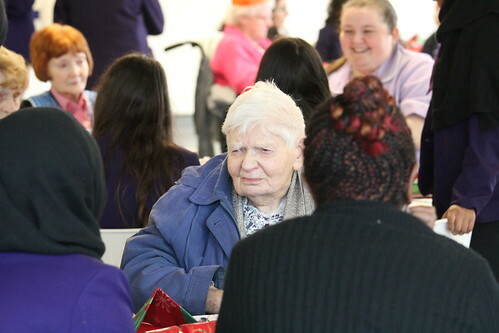 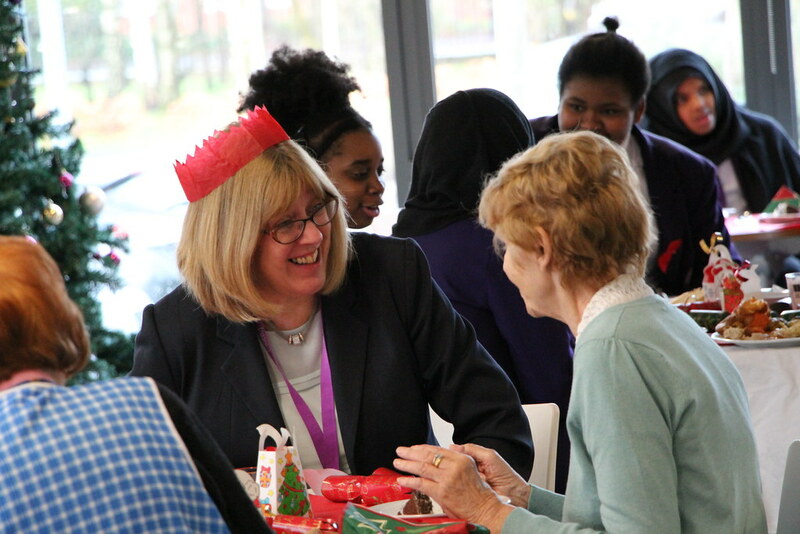 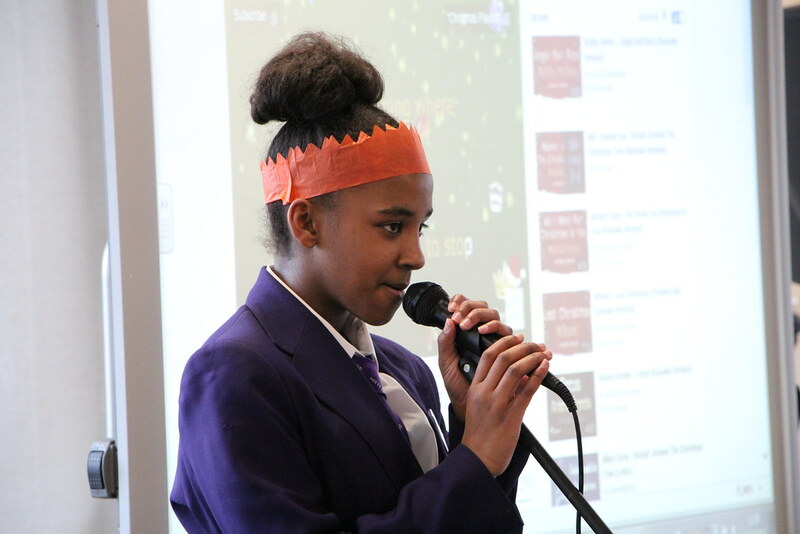 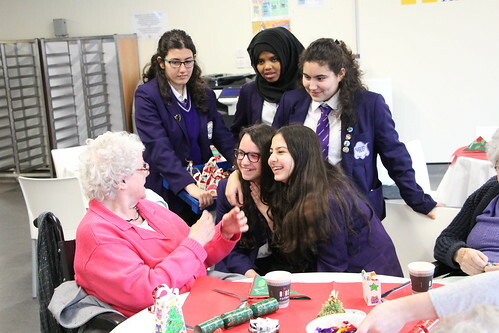 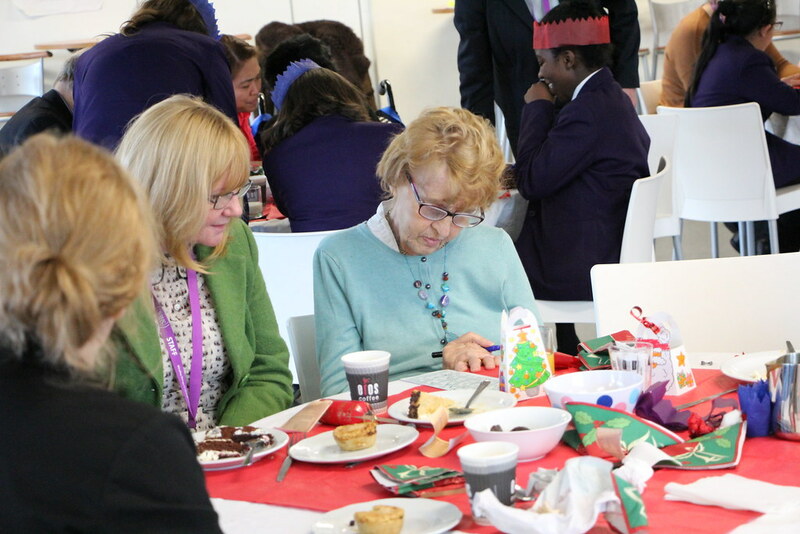 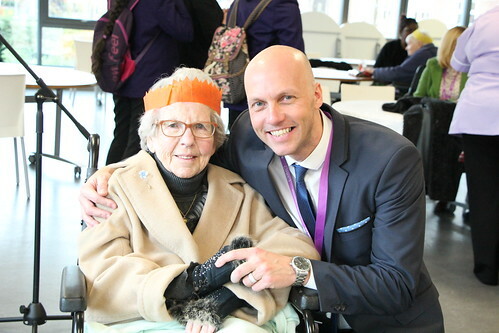 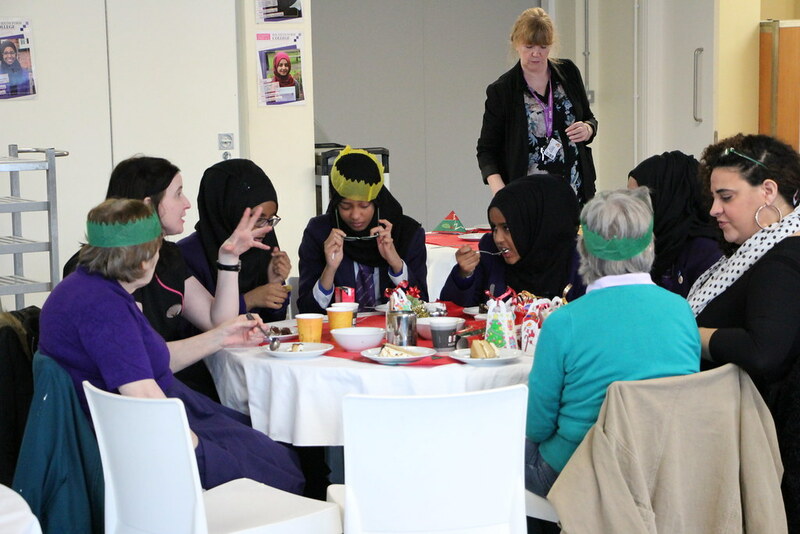 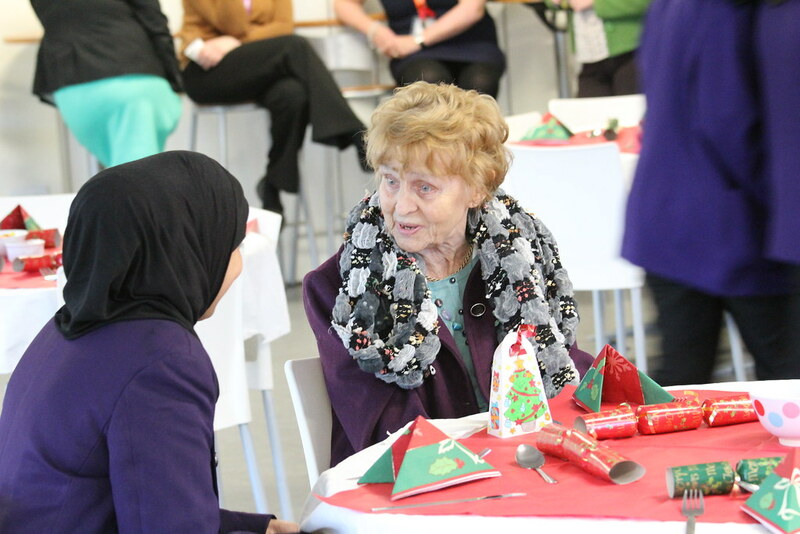 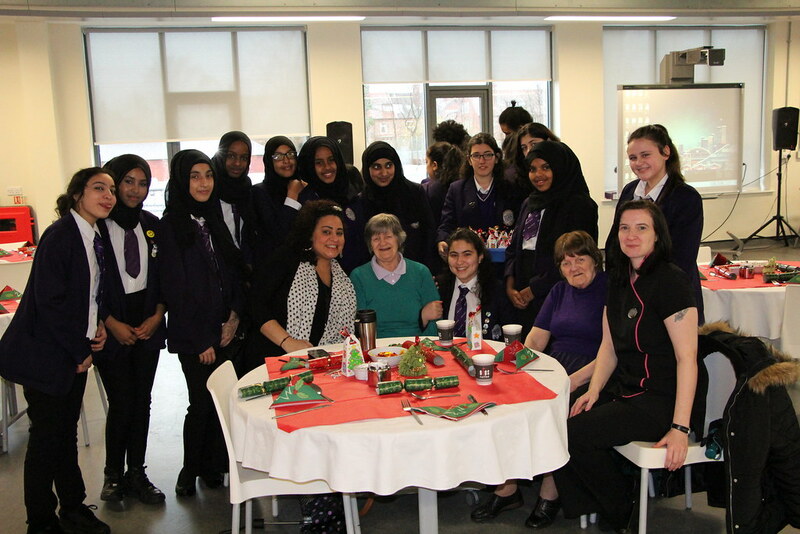 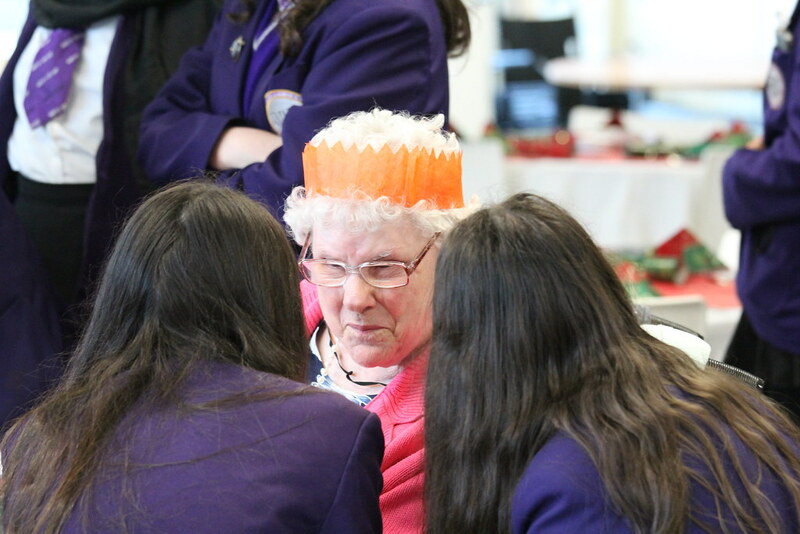 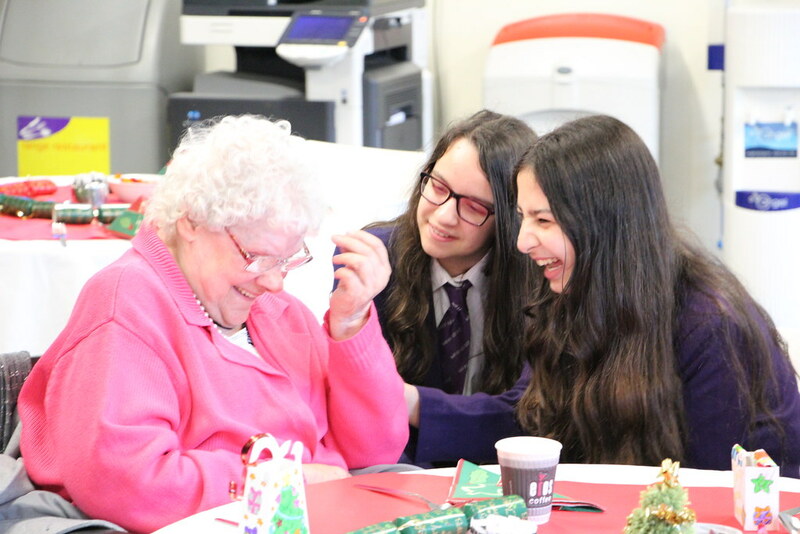 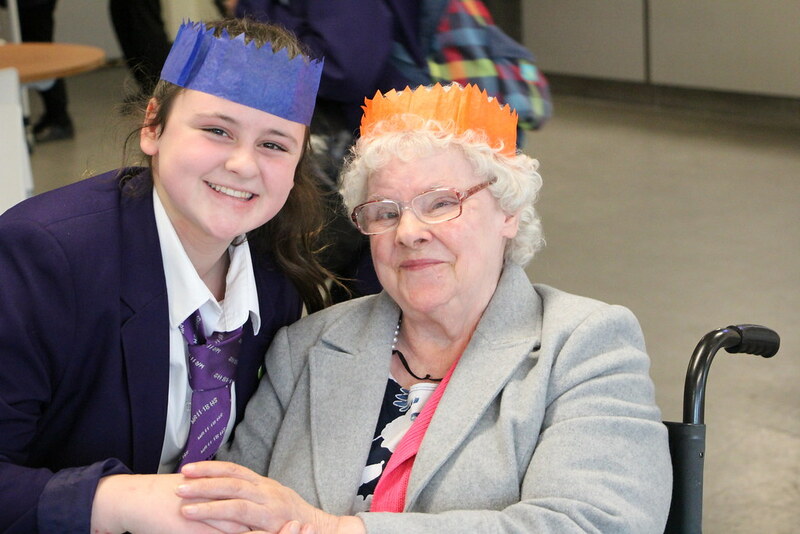 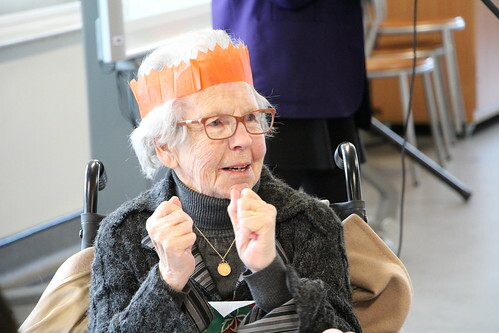 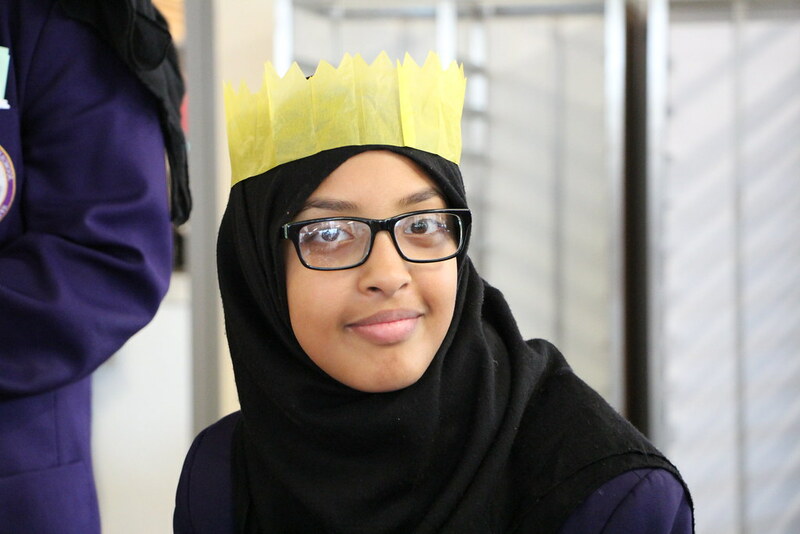 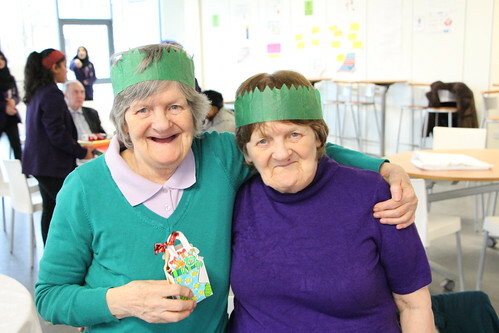 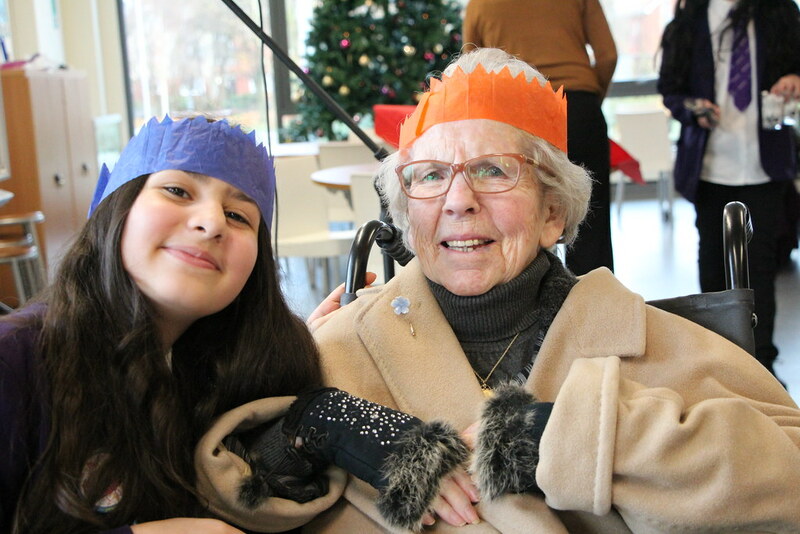 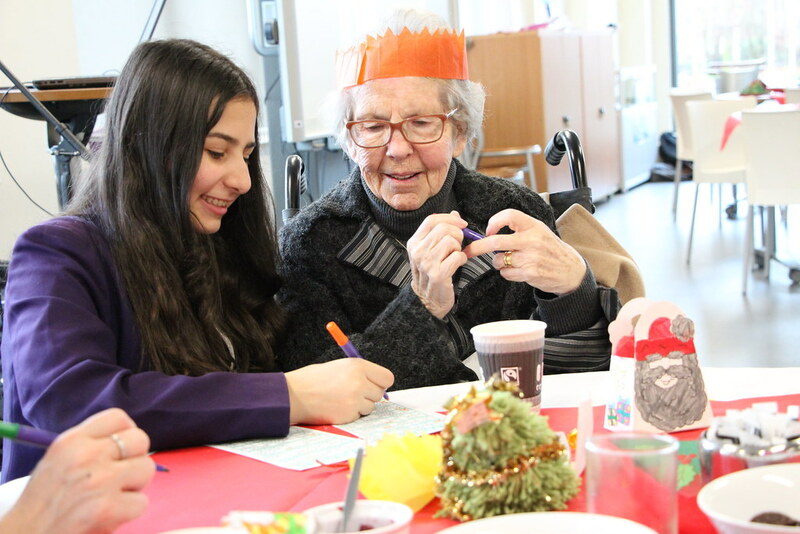 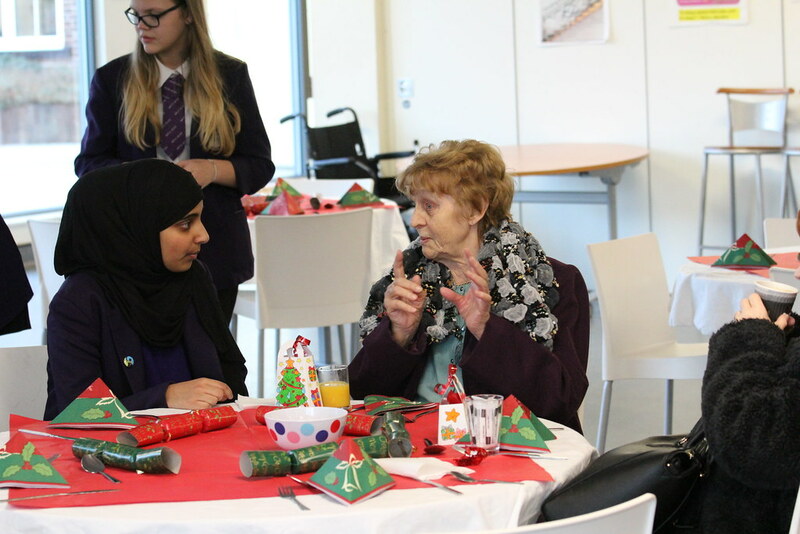 On Thursday 10th December Whalley Range 11-18 High School invited residents from four local care homes to have Christmas dinner here at the school, and to meet some of our staff and students. 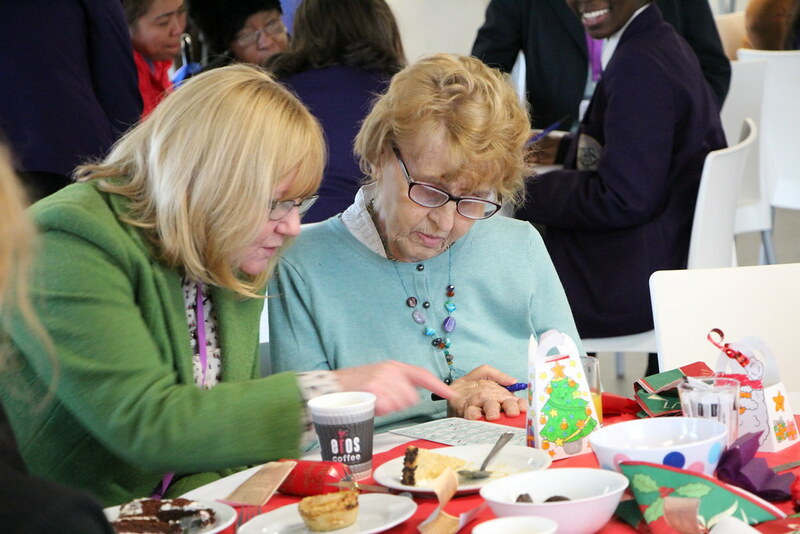 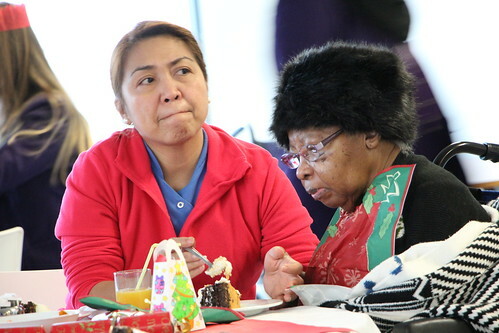 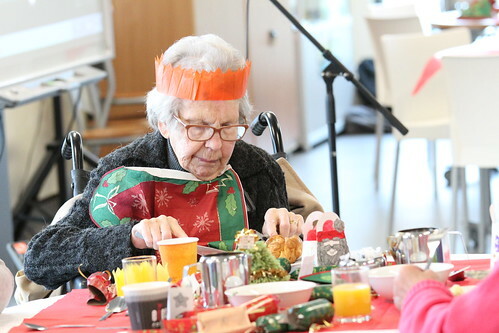 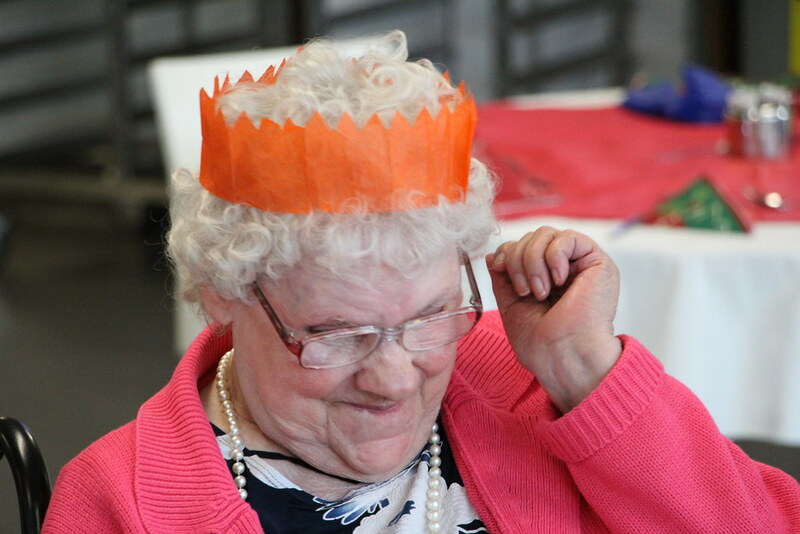 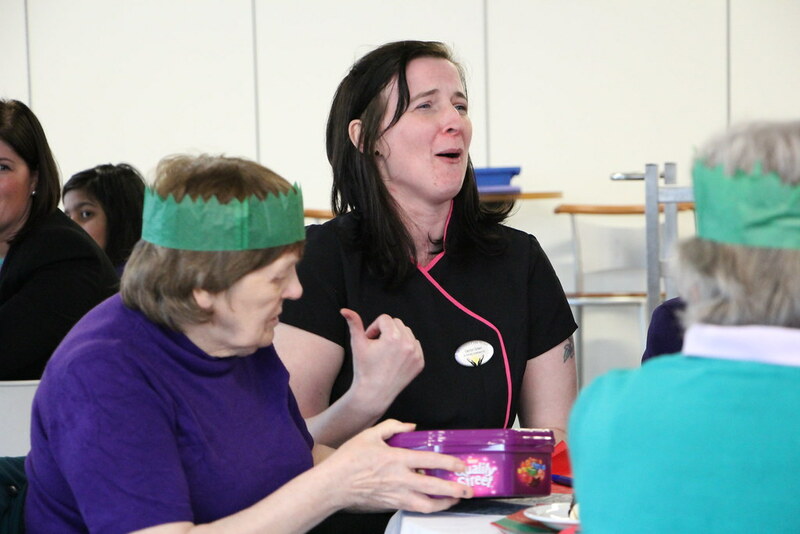 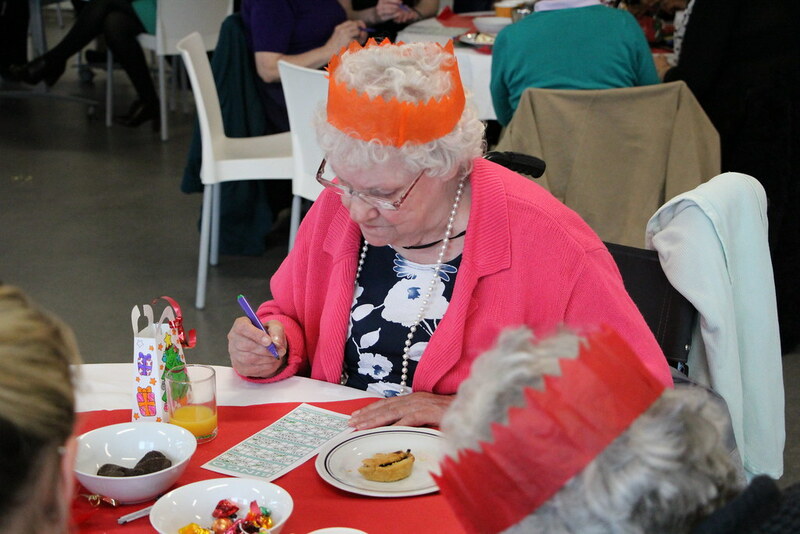 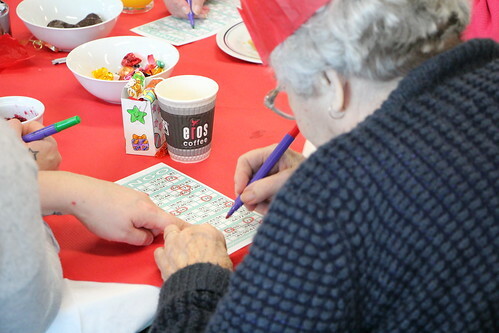 Residents from nearby Russley Lodge, Alexandra Lodge, Wellfield House and Marianna House were treated to a wonderful lunch provided by the catering team at Range Restaurant followed by festive bingo, which brought out everyone’s competitive side! The students had a chance to chat about school life and exchange stories and found out about the elderly residents and their lives. 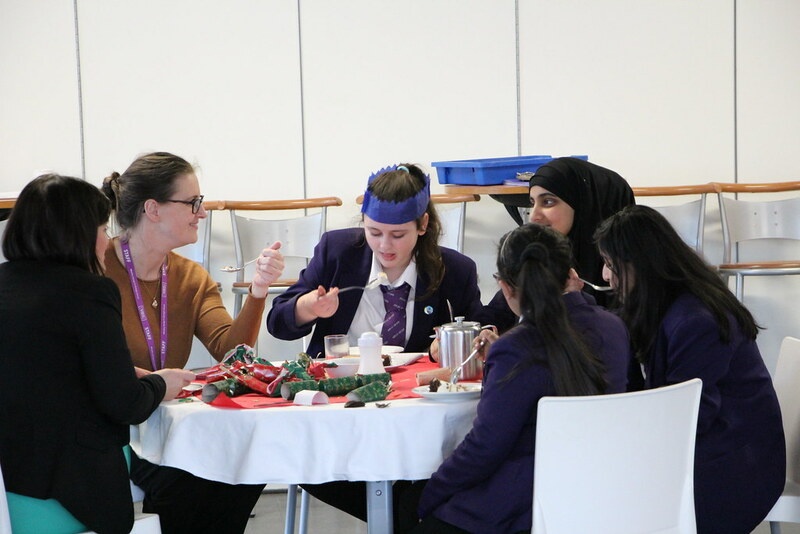 The initiative for the lunch was inspired by one of the schools Co-operative Values, Equality, which the students can earn badges for. 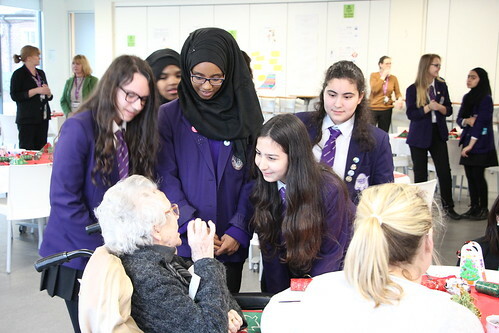 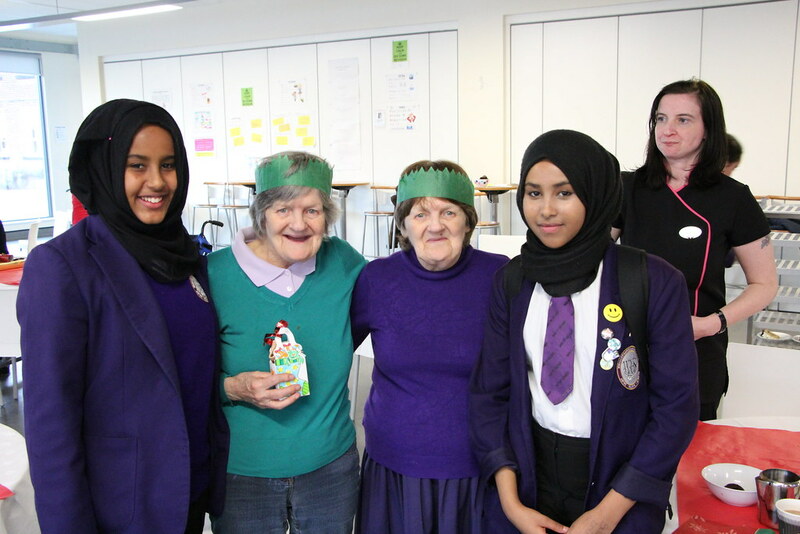 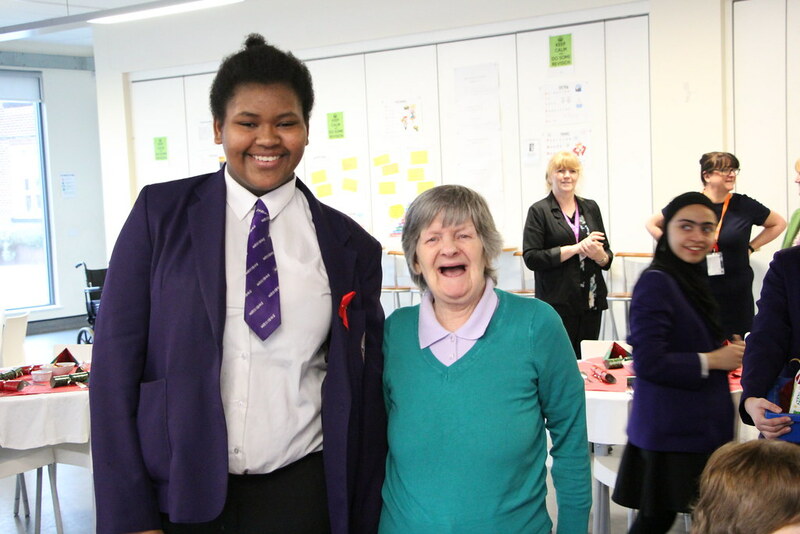 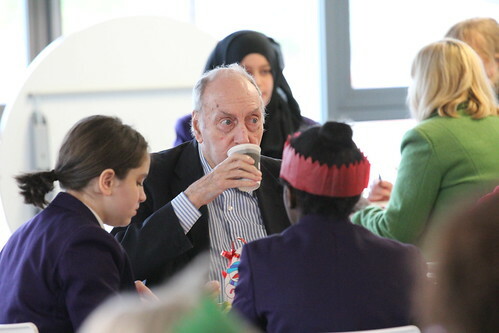 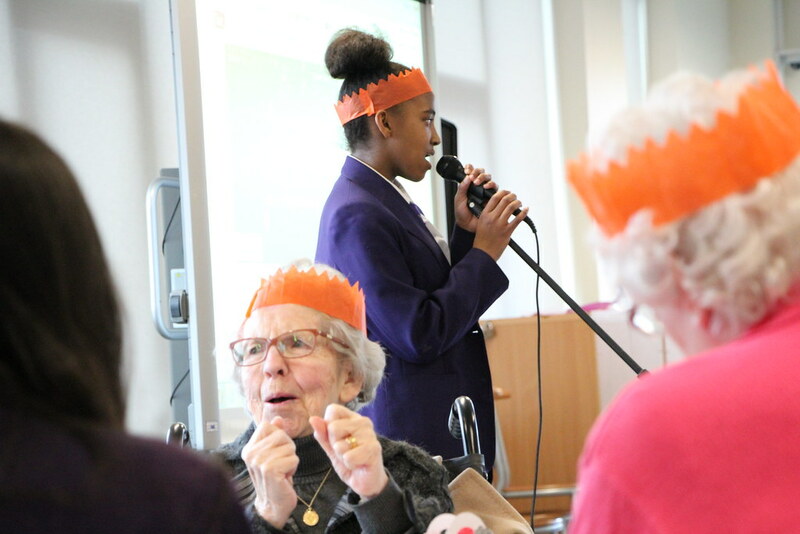 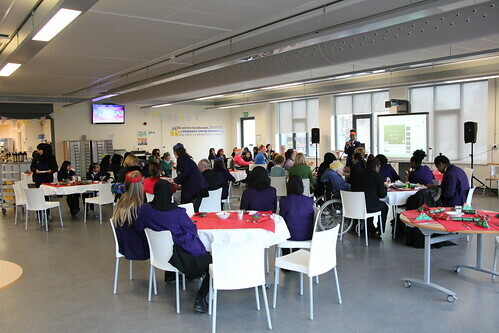 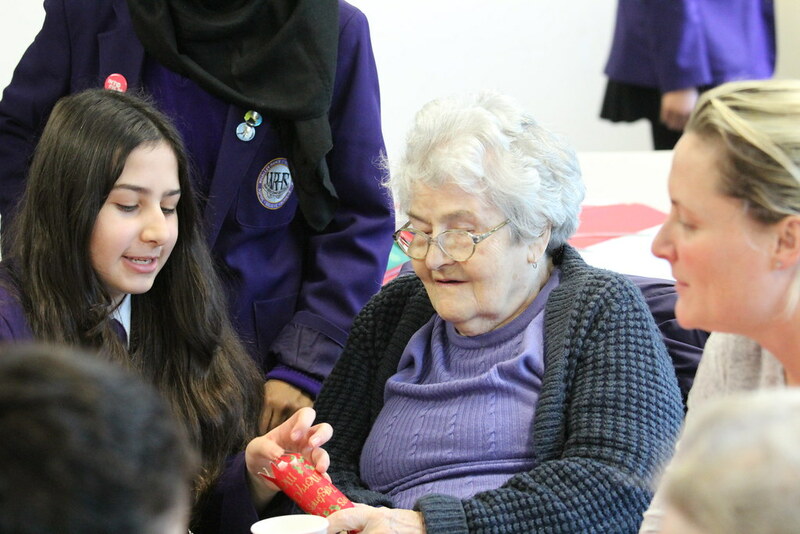 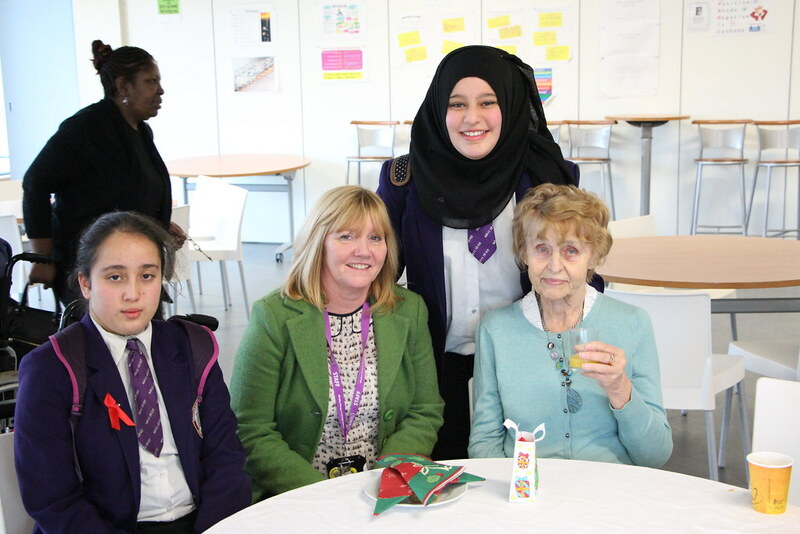 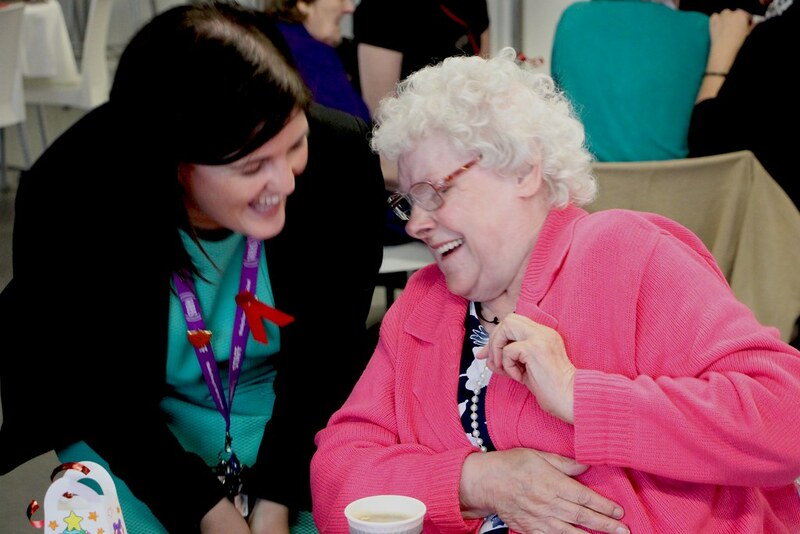 This event gave our students an opportunity to promote the cooperative value of ‘equality’ and it encouraged them to engage with the older generation, something which they enjoyed tremendously. 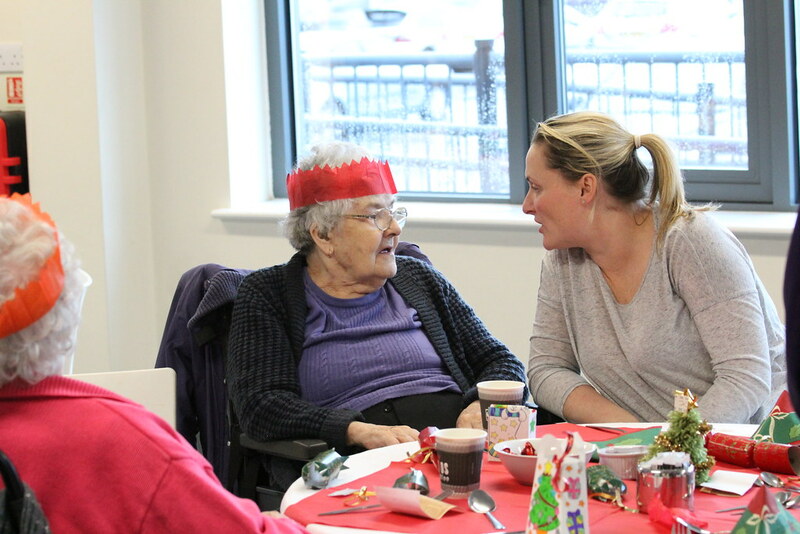 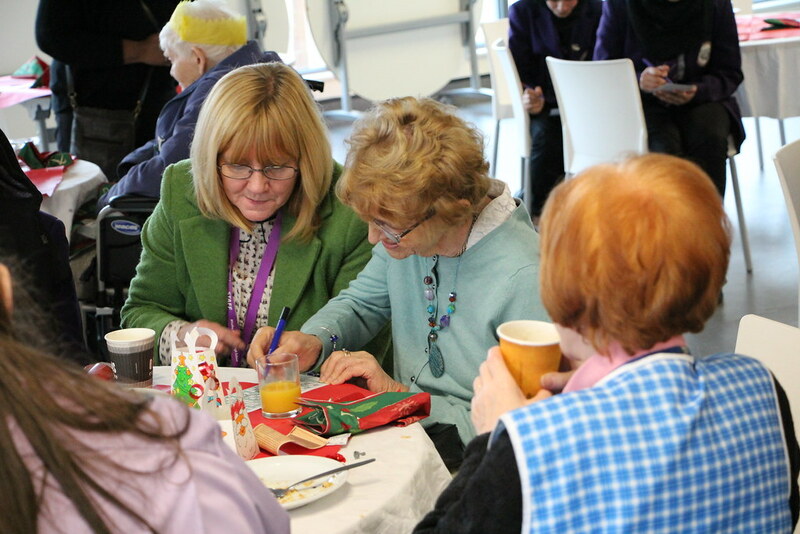 The event was a great success enjoyed by all and we look forward to inviting all the residents back next Christmas!